Here’s what’s up in the world of TV for Monday, April 24. All times are Eastern. 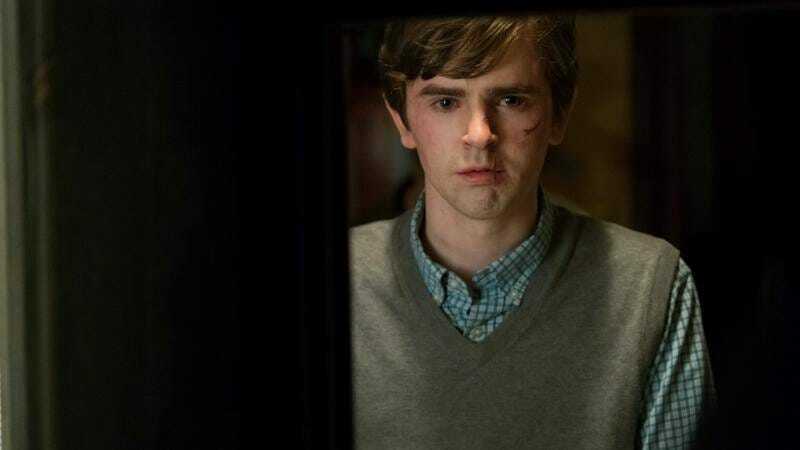 Bates Motel (A&E, 10 p.m.): As we reach the end of Bates Motel, it’s time for Norman (Freddie Highmore) to cut the “Cord”—maybe. The promos for the finale haven’t given much away beyond glimpses at the past, but there’s a reckoning coming to White Pine Bay, if Romero (Nestor Carbonell) has any say. Alex McLevy will guide you through this series closer, and maybe take home a few towels and little shampoo bottles (after five seasons, he deserves them).